For conventional cementation - use a glass ionomer cement (i.e. Ketec TM Cem) or for self-adhesive cementation please use 3M RelyX Unicem. 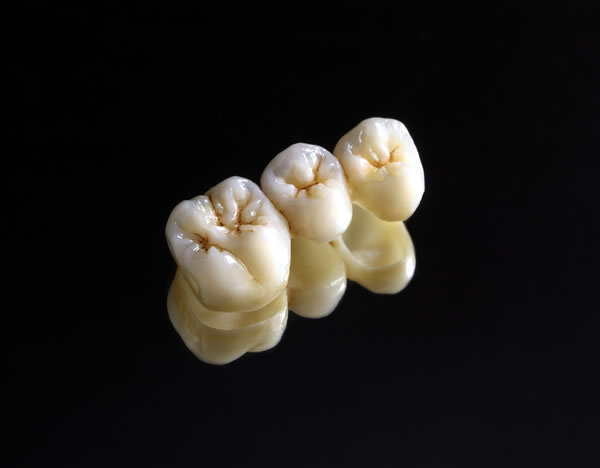 Our dental laboratory specializes in lava crowns and lava bridges. We are an authorized 3M ESPE Lava Design and Milling Center. 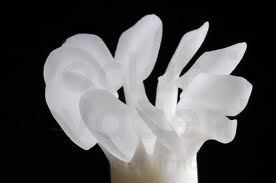 That means each lava crown is barcoded for authenticity and is made from the finest zirconia available. 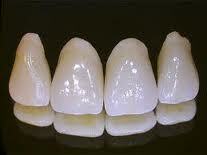 Lava Zirconia restorations are an ideal alternative to porcelain-fused-to metal (PFM) restorations. 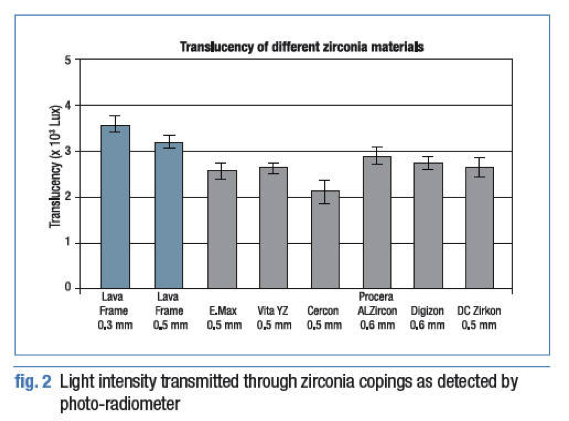 The zirconium oxide achieves the beauty and translucency of natural teeth. Over time, metal restorations can leave a dark metal margin where the gums recede. 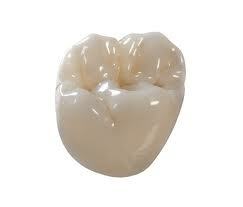 With Lava zirconia, it produces strong durable restorations and retains its original beauty for years. It is a much better alternative for those patients who have concerns about metal. Our dental lab is proud to offer IPS E.max for doctors and dental labs nationwide. 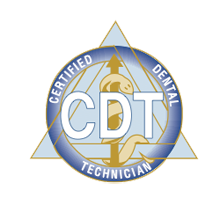 It is the perfect "one size fits all" restoration and can be prescribed anywhere in the mouth. 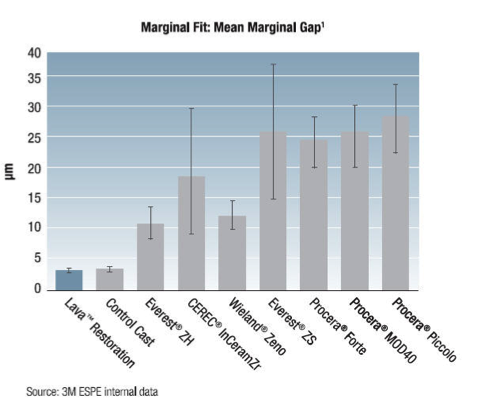 Emax restorations are the perfect solution for both anterior and posterior cases where function meets esthetics. Made from a lithium dislicate glass, it is highly translucent and boasts over 360 MPa in flexural strength. It is the strongest monolithic material to date and is guaranteed not to chip or crack. 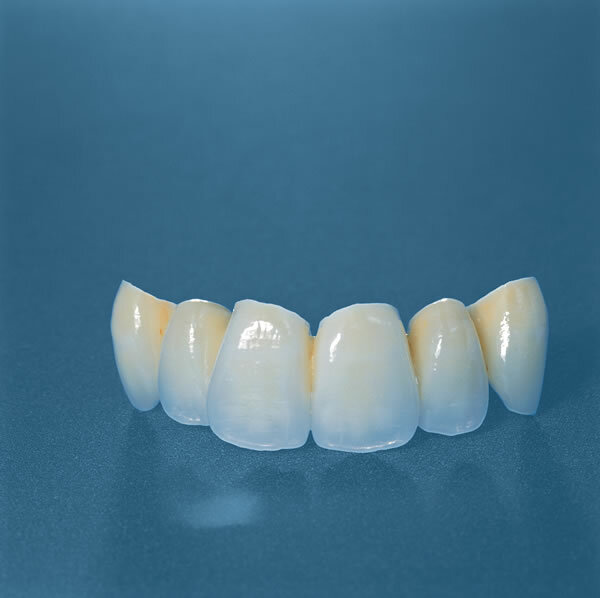 BruxZir restorations are 100% digitally scanned and milled for optimum accuracy and esthetics. Because there is no porcelain overlay, these restorations are incredibly strong and will not fail in the mouth. Considered to be "more braun, than beauty" these restorations are virtually unbreakable for even the most difficult patients.